Odetta’s words speak directly to the question of power—who’s got it and who does not—and its fundamental relationship at the intersection of music and political and social movement. That Odetta was an African American, and a woman giving her fierce voice to the concept of power, is no coincidence. That she first took a stand in the pre-civil-rights era of the fifties is purely inspirational; that she kept up the momentum for fifty years is miraculous. She was a champion of life, and she sang as if she’d die for her people. Born on New Year’s Eve in Birmingham, Alabama, Odetta was just nineteen when she was introduced to the music of Lead Belly. He immediately became her favorite singer after she heard his music on the coffeehouse and cafe scene just starting to brew in San Francisco in 1949, the year he died. The old songs were still very much alive to her, waiting to be put to use for a new purpose, and she set about learning Lead Belly’s slave songs, work songs, prison songs, and freedom songs, trusting in her bones that these musical depictions of human strength and suffering would still need to be sung one hundred years or more from when she was born. Picking up the guitar and letting her hair go natural, Odetta claimed her power. “Folk music straightened my back and kinked my hair,” she said, and it did so just in time for a new style of music coming on. It was a little more forceful, a little more demanding, and it spoke to the new generation, with its mind set on freedom. Long before civil rights, Black Power, and women’s liberation were designated the most powerful people movements in the twentieth century, Odetta was among those visionary souls who dared to sing a dream of freedom. Her story, like those of the musicians you will read about here, creates a bridge from the old world to the new, from the time when black folks and women were supposed to know their so-called places to the era of broader freedoms and equality in the ongoing fight for justice. Like prayers, the songs were free for the singing, and Odetta was free to sing them, though as an earthbound woman, it wasn’t always going to be easy—the look on her face often revealed more than the songs did. The civil rights movement with which she was aligned has been well documented; plenty has also been written on the connection between the gospel and soul music that immediately followed in the new era of black pride and consciousness. Less documented is the collective exploration of cultural heritage and identity, the pride, power, and political changes identity creates, and music’s key role in those explorations and changes. To put it another way: among political and social historians it is widely accepted that the Black Power movement was the model for women’s liberation, gay liberation, and other minority and cultural liberation movements that followed, winning rights for Native, Latino, and Asian Americans, and seniors, children, and the handicapped, among other people. 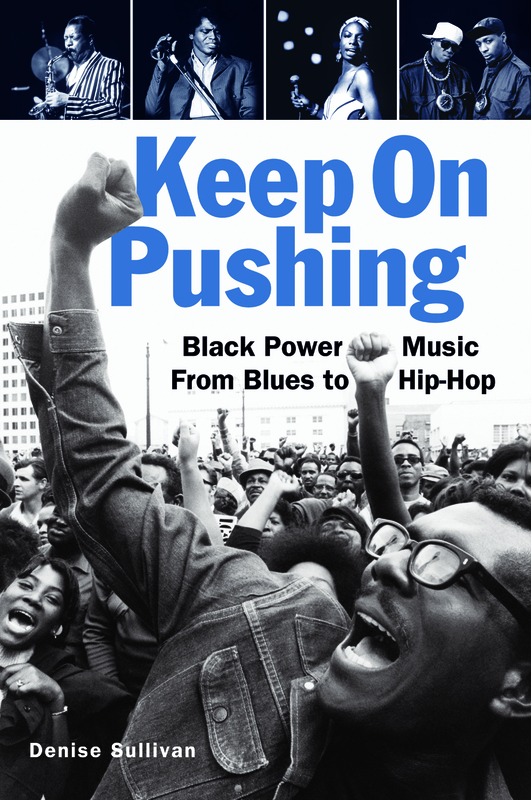 And just as Black Power had its roots in the freedom movements that preceded it, the music that accompanied Black Power was rooted in earlier movements, though the way it grew is trickier to delineate. The soundtrack to Black Power was created by all kinds of soul-powered people: activists, orators and poets, as well as musicians of all types, from classical to rock. The soundtrack’s route from there to here is circuitous, with unexpected twists, standstills, violence, surprise breakthroughs, and glass ceilings. It also includes white and Native people, as did the Freedom Rides organized by the Congress of Racial Equality (CORE) and the Student Nonviolent Coordinating Committee (SNCC) in the sixties and John Brown’s and Harriet Tubman’s abolitionist efforts one hundred years earlier. Indeed, there were inspirational moments along freedom’s road in the sixties—good reasons to celebrate and occasional victory songs to be sung. But the soundtrack to liberation dared to question the new freedoms and the quality of life “freedom” brought in the face of liberty’s inconsistencies and its costs, especially in a time of war: “What’s Going On?” “Who Will Survive America?” and “Compared to What?” And though the movement may have been extinguished, its soundtrack will not be vanquished—though like the movement, there were some serious attempts made to silence it. Undeniably, considering how it motivated young people and documented the times, music’s intersection with political and social events in the sixties has not been matched since. The period was a clear demonstration of how anger at injustice and a desire for change could galvanize large groups of people for a cause, just as sure as the music could. The songs of black liberation are about pulling together as a people in the name of survival. The songs ask listeners to join together and do something. The songs stir the soul in the place where the universal chords of sisterhood and brotherhood ring. Liberation music is music as a necessary companion, a friend who entertains, tells stories, and soothes pain—in a time of rising tension, war, and senseless violence. Some of the songs and singers you will read about are familiar, and legendary,while others have largely gone unheard; some were deemed by government and law enforcement so strong as to be dangerous—a threat to national security. But in stark contrast to the words and actions of oppression, singing is an act of life and liberation. As we sing along, these songs invite us to tap into an energy reserve that is accessible to all, if only we choose to plug into it. It’s about power: who’s got it, who needs it, how to get it, and what to do with it once it’s got. And it’s what Odetta was singing about all along.